Steven Ryan, who is trying to buy the property as an affiliate of Ryan Funeral Home in Trenton, Ga. The 2.8-acre tract at 4203 Brainerd Road was home to Brainerd Church of Christ for decades before it merged with another congregation. 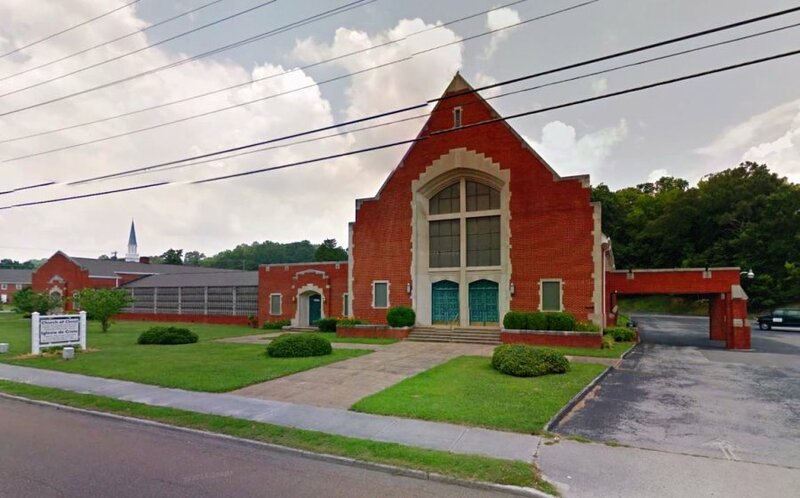 If a zoning change is endorsed Monday by Chattanooga planners and ultimately approved by the City Council, work should start to open Community Funeral Services at the site by early summer, Ryan said. Ryan said there are no plans to tear down the buildings, which go back to 1944 but are now vacant. "We're trying to keep the church in the current architectural condition," he said about the red-brick buildings. "We'll revitalize what's there. We want to bring back existing structures to life." though that has moved as well. Wamack said the proceeds from the sale of the parcel are to go to that ministry. He said the chapel is "beautiful and lays out really well" for use as a funeral home. "I believe [Ryan] has a good business model," Wamack said. price. He declined to say how much he plans to pay for the site, but it was listed for $345,000. families from North Georgia to Ooltewah. "It's easy to find," he said. "It's easy to get to." and the new Chattanooga facility can utilize that service, he said. the former church over the years. A parsonage is located in the rear, he said. Wamack said Ryan's plan is supported by the Belvoir Neighborhood Association. After earning a civil engineering degree, he was employed in Atlanta until about 2008 before returning to Trenton and working at the funeral home. Ryan said he holds funeral director and embalmer licenses in Georgia and Alabama and is seeking those credentials in Tennessee. then he'll grow the business from there.